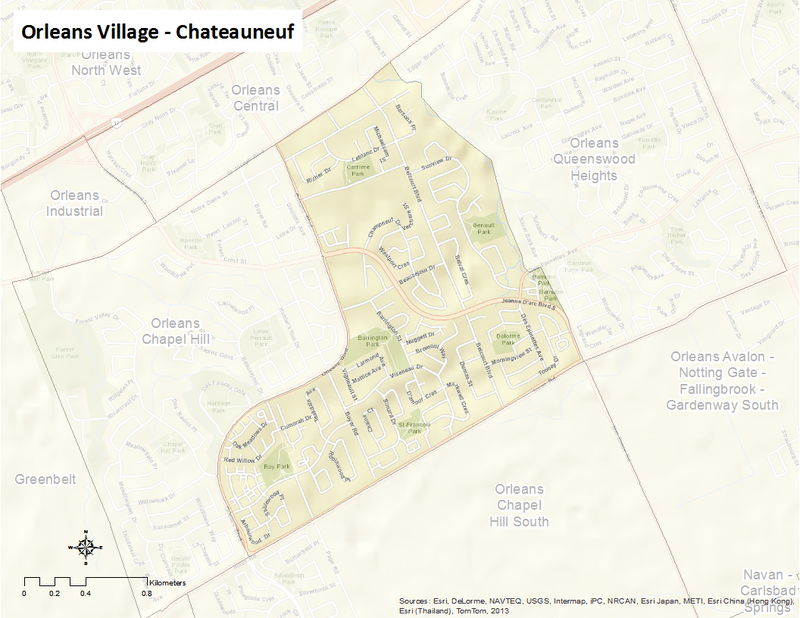 Orléans Village-Chateauneuf is bounded by St. Joseph Boulevard on the north and Innes Road on the south. The eastern border includes Jeanne D’Arc-Sunview-Des Greives-Barsona-Place Belleterre-Duford Drive, and the Western border is described by Orléans Boulevard. The neighbourhood includes the communities of Orléans Village, Chateauneuf, and Aspen Village. Orléans in general has seen steady growth since the 1970s. Similar to other neighborhoods in the National Capital Region’s east, Orléans has historically consisted of a significant francophone population. Possibly named after the birth place of the area’s first postmaster, Ile d’Orléans near Quebec City, the neighbourhood existed as a police village from 1922 to 1974 and was known as St. Joseph d’Orléans.